SAVE1306, originally uploaded by bucklesw1. 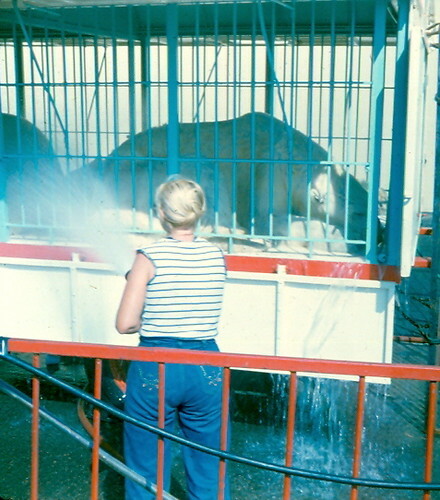 Getting socked by June flooding interrupted rising attendance at Circus World Museum in 2008, the director said Thursday. 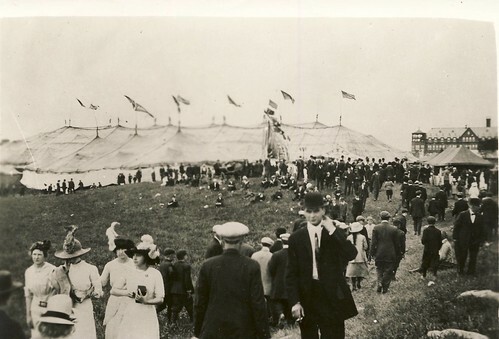 However the museum can look forward to a successful Milwaukee Great Circus Parade in July and rising visitor numbers in 2010, he predicted. 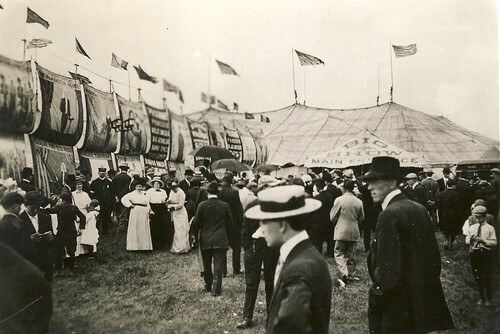 CWM Executive Director Steve Freese met with members of the executive committee of the Circus World Museum Foundation, the non-profit organization that operates the museum on behalf of the State Historical Society of Wisconsin. They conducted a review of the shortfalls and successes of 2008 and looked forward to the next budget they must prepare, the one for 2010. 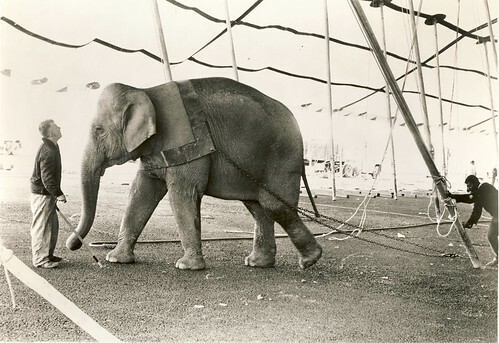 In 2007, visitors coming to Circus World Museum was rising for the first time in years and reached about 56,000 people, Freese said. 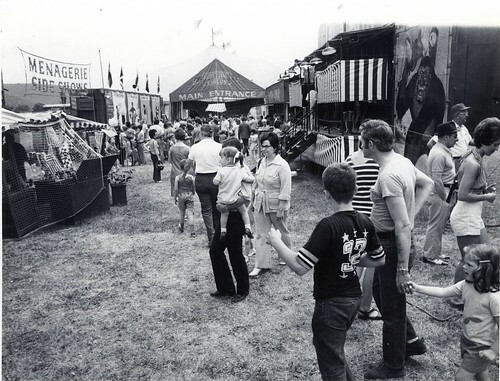 Attendance was rising again in 2008, until the Baraboo River overtopped its banks in early June and forced the closure of the museum grounds. CWM has been recovering from the floods and that trend should continue, Freese said. "We'll be back on the growth we did in 2007, and up through the flood in 2008," he said. "We had 15 percent growth in 2007 in attendance, and we were up to 8 percent growth before the flood, That hit us pretty badly and we lost attendance," he said. 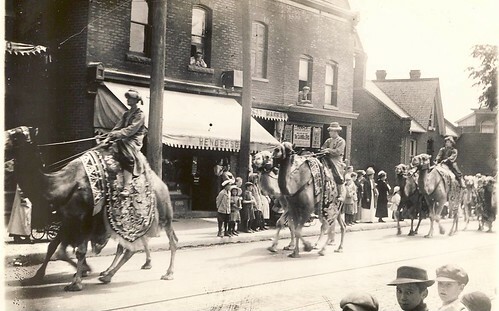 Museum staff are working hard on the big project for the year, the parade through Milwaukee, Freese said. It will be the first since 2003. 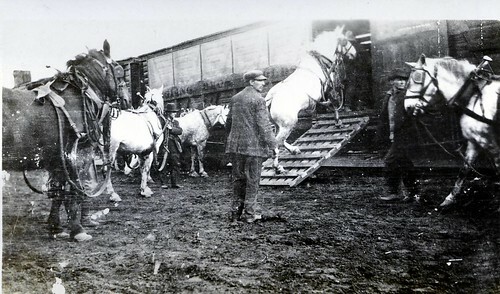 CWM has already completed contracts with the horse teams and drivers who will be pulling the wagons, Freese said. 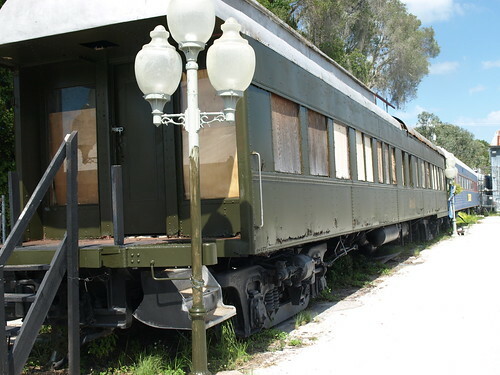 Restoration of the historic circus wagons that will appear in the parade is also moving along well, he said. 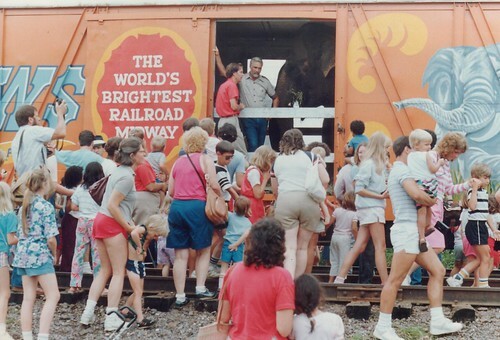 In the C. P. Fox Wagon Restoration Center, Wagon Superintendent Harold "Heavy" Burdick and a crew of museum employees and volunteers were busy preparing 50 elaborately-carved and colorful circus wagons to make their best showing during the Great Circus Parade July 12 in Milwaukee. On one side of the wagon workshop, Baraboo carpenter Jeff Fry used an electric saw and chisel to shape part of a wooden frame for the Ken Maynard Air Calliope Wagon. Time and again, he tried the fit of the part before taking it back to his workbench to shape it further. 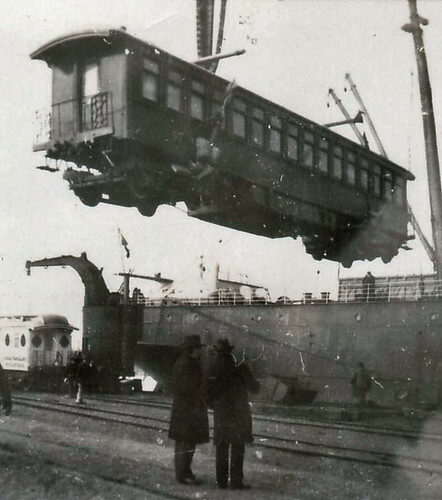 The calliope wagon, a type of musical instrument circuses used to attract crowds, stood stripped to bare wood, waiting for completion of its restoration. 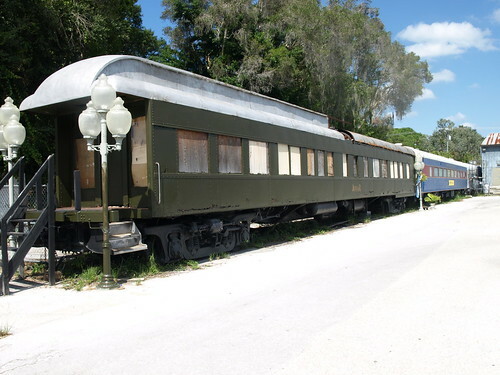 Burdick flipped a sheet over and displayed the gleaming, brass pneumatic pipes of the wagon's music-making mechanism. 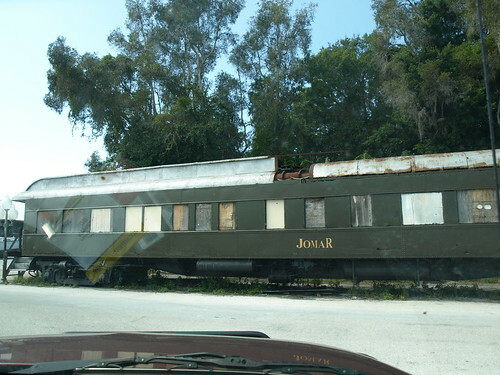 "It needs some loving," he said of the antique circus wagon. In another area, Rock Springs resident Craig Janzen and Donald Sanders of Baraboo painted the colorful wood and steel-rimmed wheels that carry the wagons along the parade route. 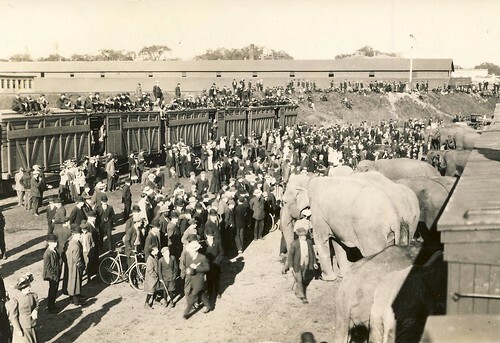 Overlooking them were the ornately painted scenes and faces of the museum's Pawnee Bill circus bandwagon, originally made in 1903 for Pawnee Bill's Wild West Show. As part of preparations for the parade, Burdick said they had the wheels squeezed by a giant hydraulic machine to make sure the steel rims cling tight to the wooden spokes and hubs. Each wheel can weight up to several hundred pounds, he said. "That's 200 wheels, we have to make sure they go three miles (of the parade route)," he said. Fry said the last six months of working on wagon restoration rather than home building has been a new experience for him. "You get to use the same skills," but it's always interesting here," he said. "You never know what they'll pull in here." Fry added it is a lot better to be working in a heated workshop rather than an outdoors construction site. 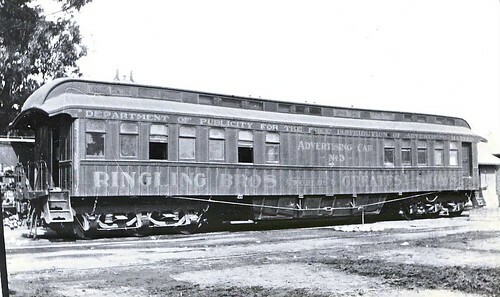 On another side of the workshop near giant garage-type doors a second air calliope wagon stood, the Cole Brothers Air Calliope No. 82, ready to take part in the parade. 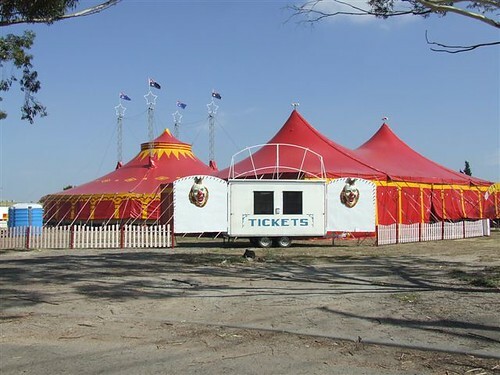 This one gleamed with a new coat of red paint and looked as if it was ready for work almost a century ago in the golden age of circuses, parading through the streets to draw adults and children to the performances under the big top. "That was a total restoration too," Burdick said. "It worked out really nice. "A compliment to my guys, because I couldn't do it without them," he said. "They deserve a lot of credit for what they do here." 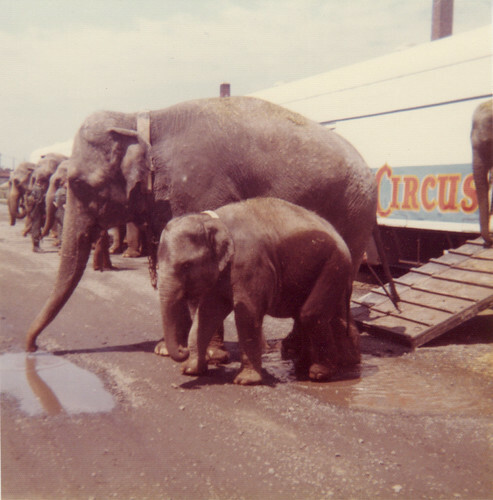 Burdick said he expects he and his co-workers will not be done restoring all the wagons until shortly before the Great Circus Parade hits Milwaukee's streets this summer. In the CWM conference room, Freese said he is optimistic about the future of the museum. However, with the economic slowdown, he didn't expect attendance in 2009 to rise above that of last year, about 53,000 people. But as the economy revitalizes in 2010, Freese said effective efforts to promote the museum will again bring rising numbers of visitors. His strategy has been to be "really out there with the public." "I think because of the different marketing style and approach that I've taken to the management of the facility, I think we can reasonably expect an uptick in the attendance," Freese said. "We have basically two-and-a-half years evidence for that." Scan11252, originally uploaded by bucklesw1. 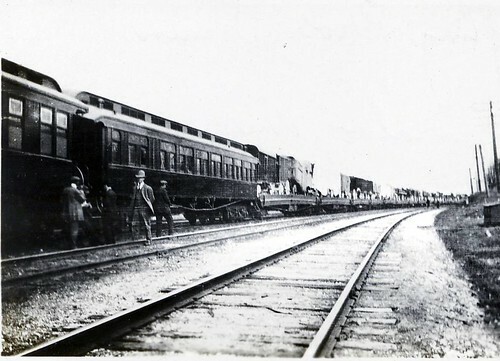 One of the Advance Cars. Scan11253, originally uploaded by bucklesw1. 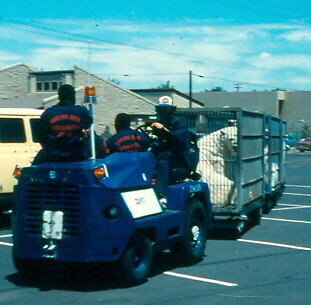 Loading the baggage stock in Baraboo. Scan11254, originally uploaded by bucklesw1. Scan11255, originally uploaded by bucklesw1. Scan11256, originally uploaded by bucklesw1. 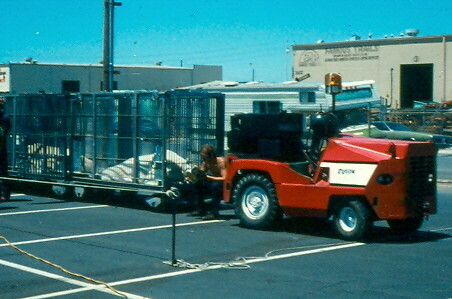 Herd arriving on the lot. Scan11262 - Copy, originally uploaded by bucklesw1. Scan11257, originally uploaded by bucklesw1. Scan11258, originally uploaded by bucklesw1. Scan11259, originally uploaded by bucklesw1. 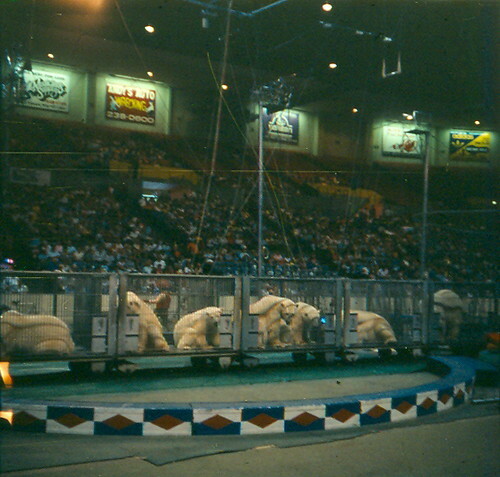 Scan11260, originally uploaded by bucklesw1. Scan11261, originally uploaded by bucklesw1. 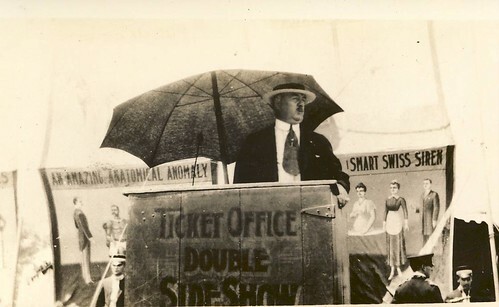 Picture includes what appears to be an 80' side show with 2 middle pieces. 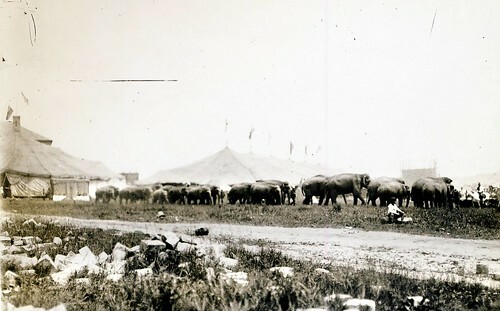 A 140' menagerie with 5 middle pieces and a big top around 190' with 5 middle pieces as well. 110thflyer, originally uploaded by bucklesw1. VeniceTravelGuideinside, originally uploaded by bucklesw1. Ran across this while looking for my 110th flyer. Providence RI, originally uploaded by bucklesw1. 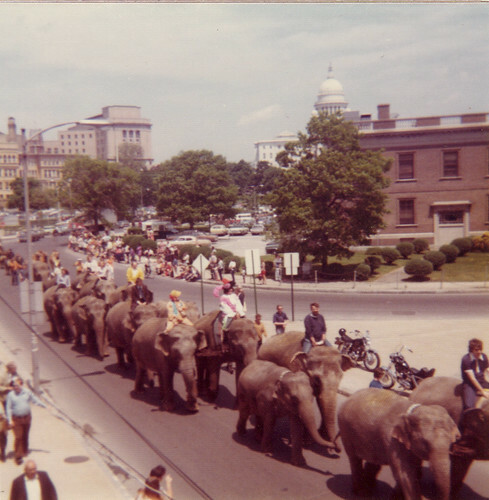 These were all taken in Providence RI in the early 70's, around noon, the animal parade was well advertised, and radio and tv personalities rode the elephants to the Providence Civic Center. 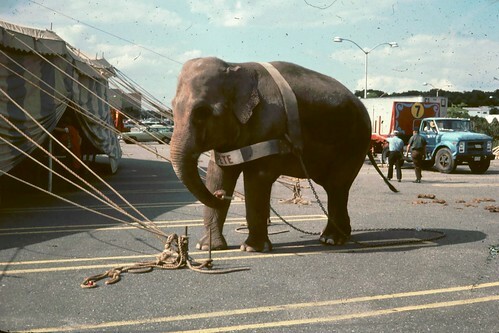 also the back lot was very accessible to circus fans. Elephant Parade Prov. RI, originally uploaded by bucklesw1. 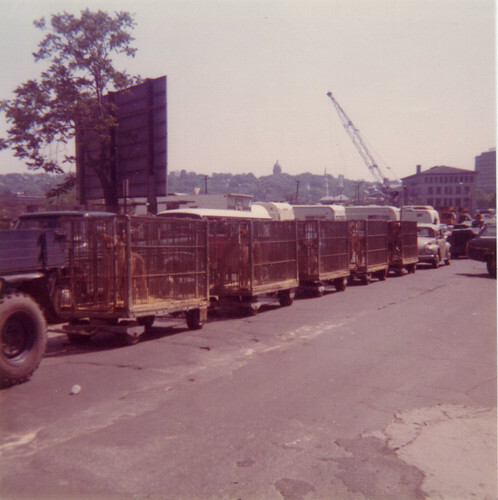 Wild Animal Wagons, originally uploaded by bucklesw1. Michu, originally uploaded by bucklesw1. Clyde Beatty Cole Bros CBCB77 -019, originally uploaded by bucklesw1. Roger and Cindy might enjoy the attached photo of Ned taken during the 1977 season. The location was Smithaven Mall L.I. NY. June 20th thru June 22nd. Clyde Beatty Cole Bros CBCB77 -024, originally uploaded by bucklesw1. This is a shot of Pete with no one tending to her. Florida Oct 08 050, originally uploaded by bucklesw1. Florida Oct 08 047, originally uploaded by bucklesw1. Florida Oct 08 048, originally uploaded by bucklesw1. Barnum & Bailey in Europe! SAVE0965, originally uploaded by bucklesw1. 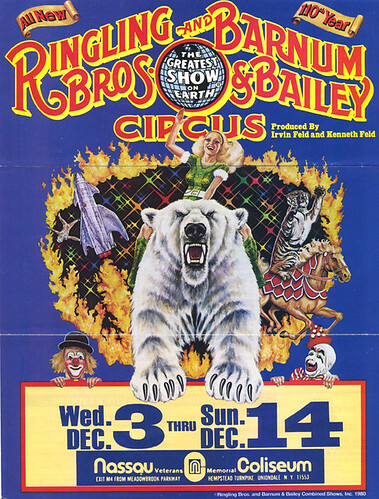 Having only the Barnum & Bailey visits here I was wondering recently just what happened when animal numbers/conditions changed during a year. Alas, papers here never reported such things! 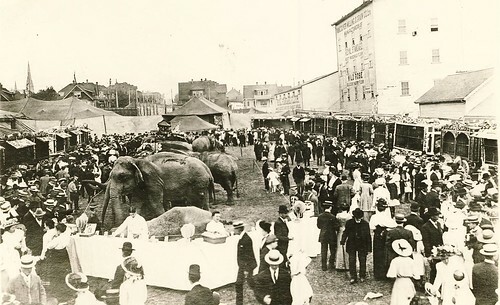 For instance, Daisy the giraffe died on the way over & was not replaced so her cage was not needed, then part of 1898 poor old Nellie the lioness paraded separately with her latest "crop" of cubs. So, did menagerie flats always leave space in case? (we stuffed at least one tiger & elephant here!). 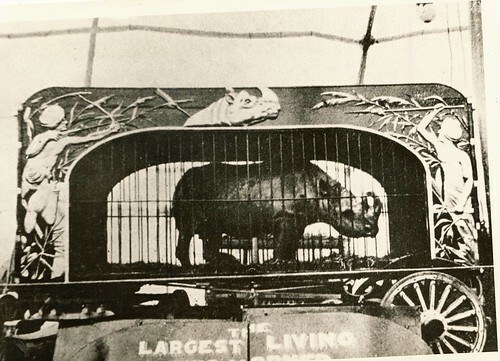 The "limited" show, in 1899, had spare cages at Stoke-on-Trent winter quarters - but would Daisy's cage have been there in 1898? or carried out of the way through the 1898 season? 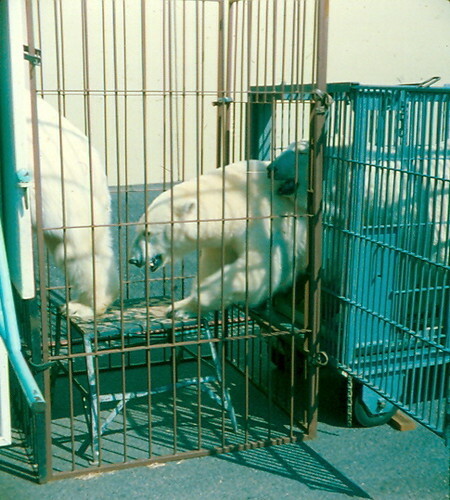 Unlikely, but would Nellie & cubs have used it for the few weeks the show needed an extra cage for her & the cubs? I have my thoughts but your side of the 'pond' has the true experts who may well know the definitive answer (or, is there one?). Fred Neill (now at neill.frederick@googlemail.com) . bilde, originally uploaded by bucklesw1. 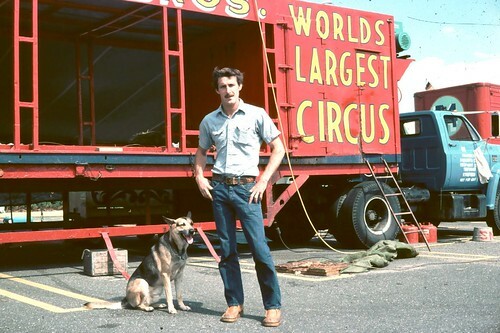 Ringmaster Joseph Bauer Jr. is a 15th-generation circus performer and star of Bauer’s Circus Maximus. 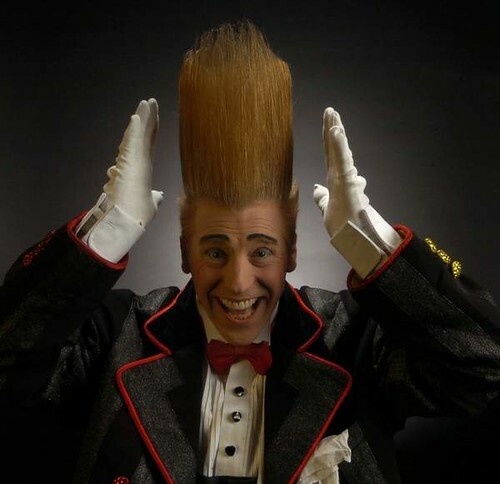 With performances at the London Palladium, Caesars Palace and Lincoln Center under his belt, animal trainer David Rosaire brings his Perky Pekes to Sarasota this year. Quick-change illusionists Vladimir and Olga Smirnov are elegant, smooth and mysterious as they transform before audiences’ eyes. Eighth-generation equestrian and circus performer Caroline Williams has worked with many breeds including miniature horses, Lipizzaners and Andalusians. Russian contortionist Alexey Goloborodko was trained by Vladislav Rodin and is known for his graceful flexibility. Semeon Krachinov is a 20-year-old juggler who has been featured in the Russian State Circus. Chinese foot juggler Wang Hong was a gold medal winner at the seventh Festival Mondial du Cirque de Demain for her “Magic Feet of the Orient” routine. Tailed up001, originally uploaded by bucklesw1. Received 15 remarkable photos from Wayne Jackson, all appear to have been taken by professional photographers. 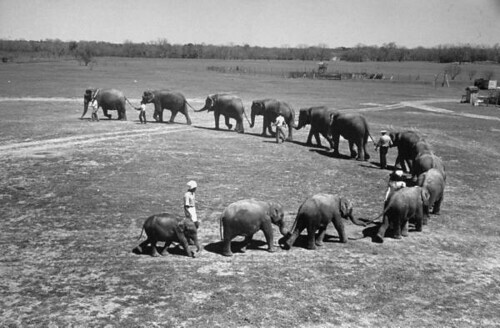 This first set is from the Dailey Show Winter Quarters in Gonzalez, Texas and shows part of the herd of 23 elephants. Gonzalez001, originally uploaded by bucklesw1. TrunkedUp001, originally uploaded by bucklesw1. Two punks, originally uploaded by bucklesw1. Rex001, originally uploaded by bucklesw1. 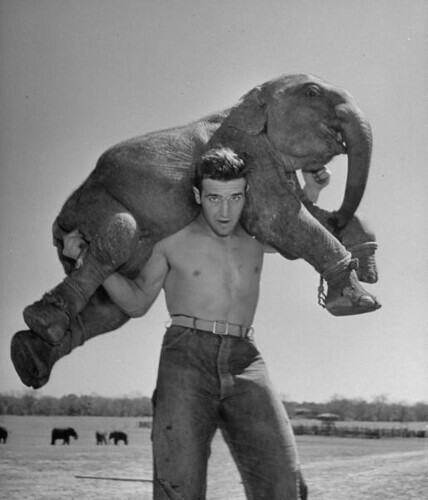 "Butch, baby female elephant in the Dailey Circus, being hoisted on shoulders of circus owner Ben Davenport. Butch weighs around 200 pounds." This is actually Rex Williams, recently returned from the US Marines and in pretty good shape. MAIL0185, originally uploaded by bucklesw1. 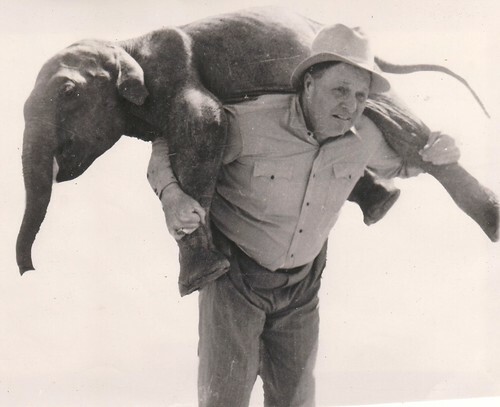 The well known picture of Mr. Davenport and "Butch". 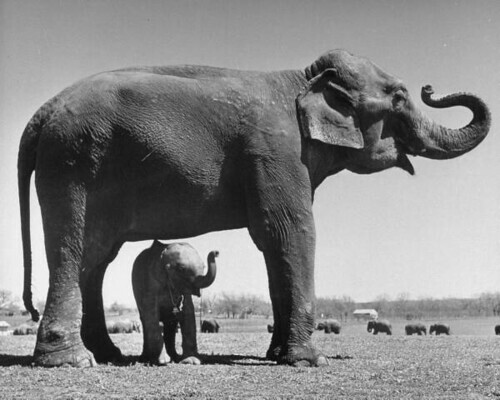 I was told that Rex was helping support "Butch" consequently the background was blocked out including the elephant's right front leg on which Rex's arm could be seen. 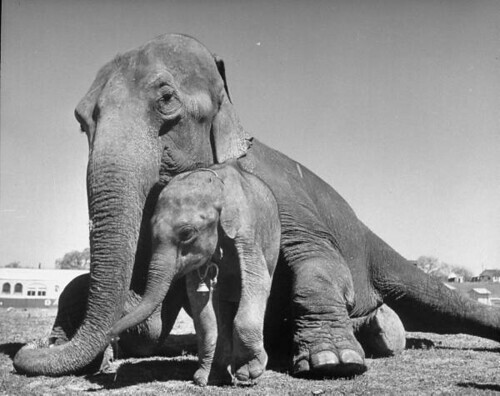 ride elephants, originally uploaded by bucklesw1. 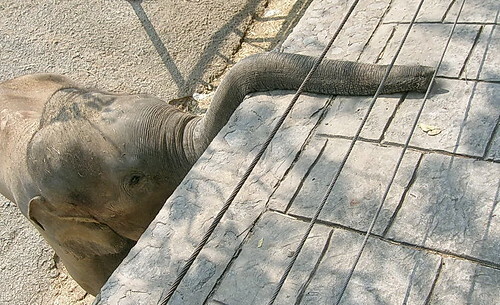 Taken at a zoo 50 miles south of Bangkok,Thailand. 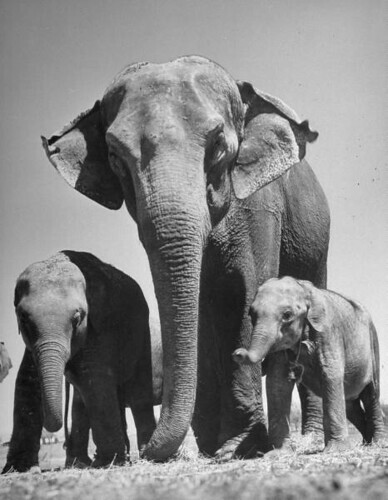 Any patron can buy bananas and hand feed them to the elephants. No supervision in sight. 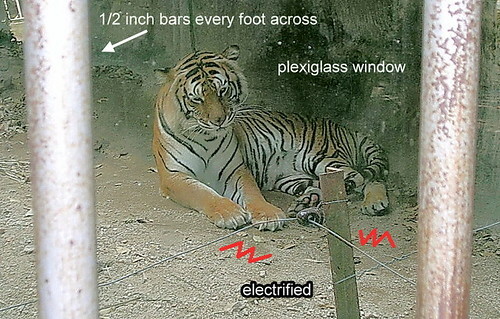 The cat compounds used to have only the plexiglas panels but now have some ugly bars and electric wires right in the patrons view. The cats do have lots of space though. 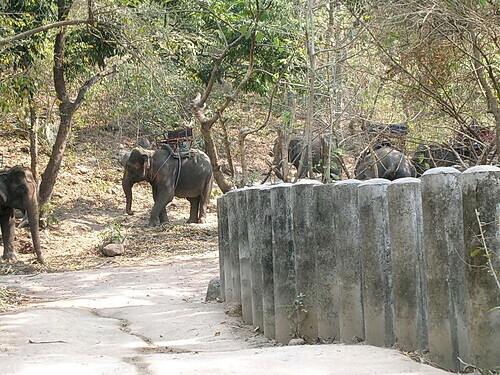 Because of low tourist numbers, the staff has been cut by 20%. 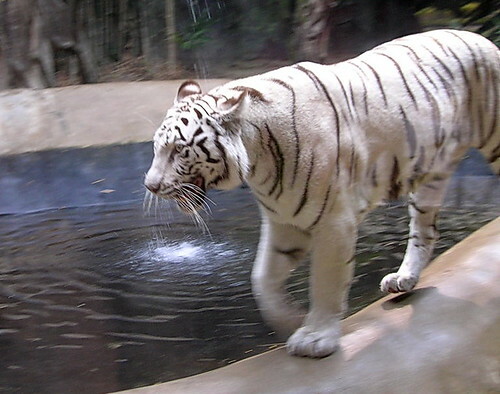 white tiger, originally uploaded by bucklesw1. trunk, originally uploaded by bucklesw1. 3 way guest protection, originally uploaded by bucklesw1. Ursula-1, originally uploaded by bucklesw1. 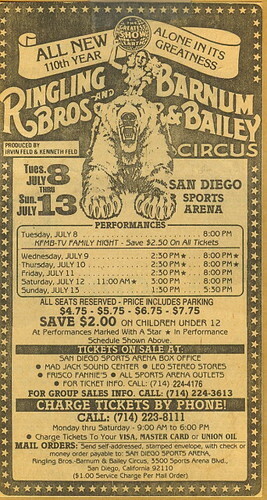 This newspaper ad featuring Ursula is from the Blue Unit’s appearance in San Diego in 1980. Incidentally, those ticket prices in the ad, when converted to 2009 dollars would be $12.46, $15.08, $17.70 and $20.32 respectively. 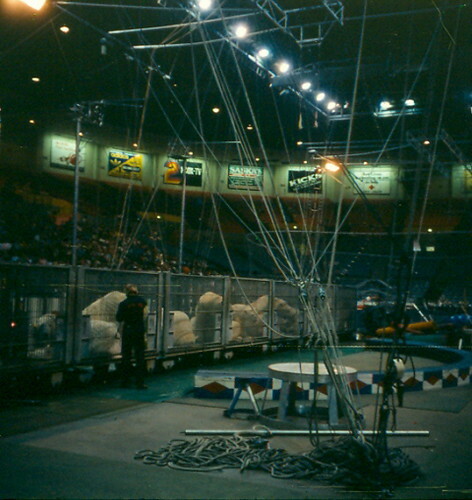 Considering how much show you got for your money back then and how much you get today, the Circus was definitely a better value 29 years ago. Ursula-2, originally uploaded by bucklesw1. 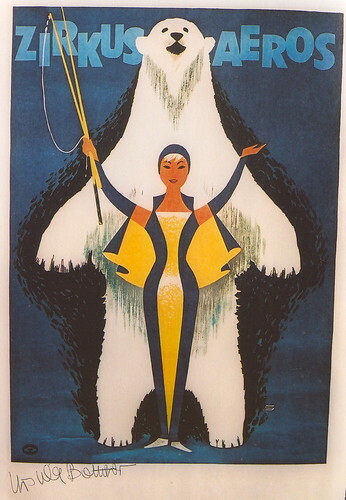 This 1966 Zirkus Aeros poster of Ursula was done by artist Gunter Schmitz for a competition sponsored by the German Democratic Republic’s Ministry of Culture. 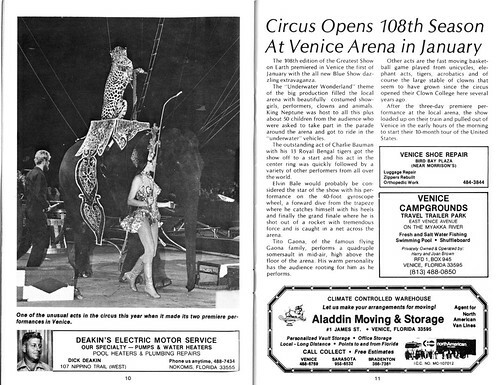 It was later reprinted in the book 100 YEARS OF CIRCUS POSTERS. Ursula-3, originally uploaded by bucklesw1. Ursula-4, originally uploaded by bucklesw1. Ursula-5, originally uploaded by bucklesw1. 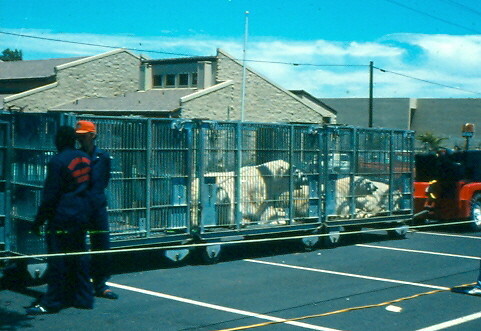 These next three photos show the bears after they had been transferred from the large cage wagon to the (relatively) smaller cages that were used to haul them to and from the arena. Ursula-6, originally uploaded by bucklesw1. Ursula-7, originally uploaded by bucklesw1. Ursula-8, originally uploaded by bucklesw1. Ursula-9, originally uploaded by bucklesw1. Ursula 9.5, originally uploaded by bucklesw1. 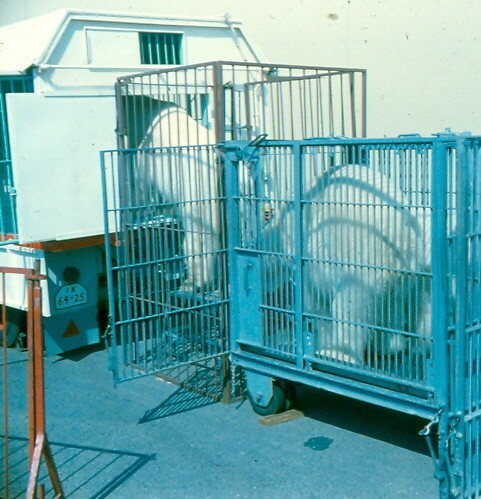 After their act was over, the bears were transferred back into their cage wagon via this "vestibule" cage. Ursula-10, originally uploaded by bucklesw1. Ursula-11, originally uploaded by bucklesw1. 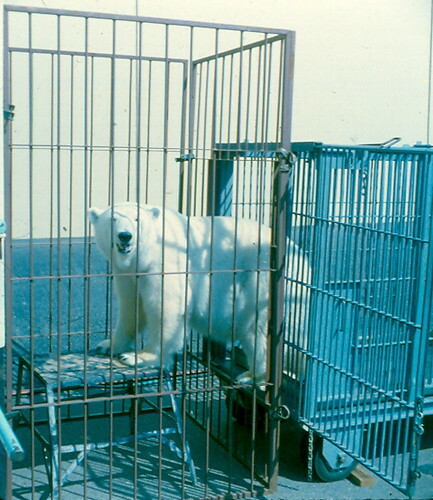 Looking at this picture today, I now wonder if this bear was aware that there was no top on the "vestibule" cage, and if he was thinking about grabbing a quick bite to eat before joining his brethren in the big wagon! Gasser 01, originally uploaded by bucklesw1. 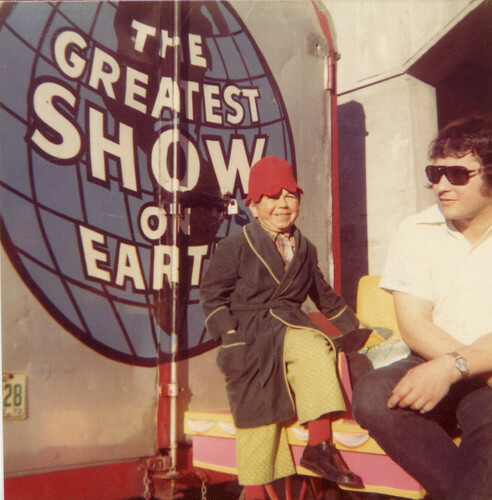 by Frank Gasser a Great circus man Knows Australia well I am sure he will do well. Scan11241, originally uploaded by bucklesw1. Scan11244, originally uploaded by bucklesw1.